Students aren’t the only ones who have studies. 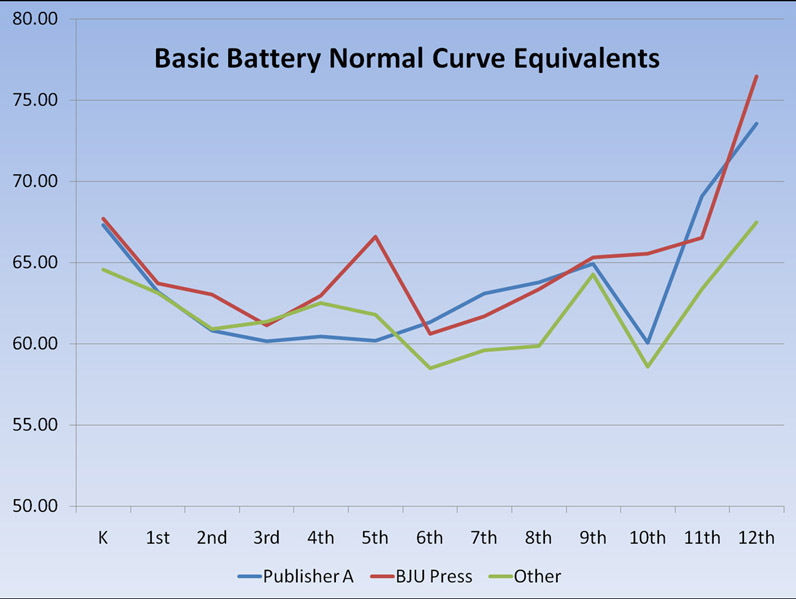 While users of the major Christian publishers received similar scores in grades K - 4, only users of one publisher showed any significantly higher scores in grade 5 and grade 11. That publisher was BJU Press. 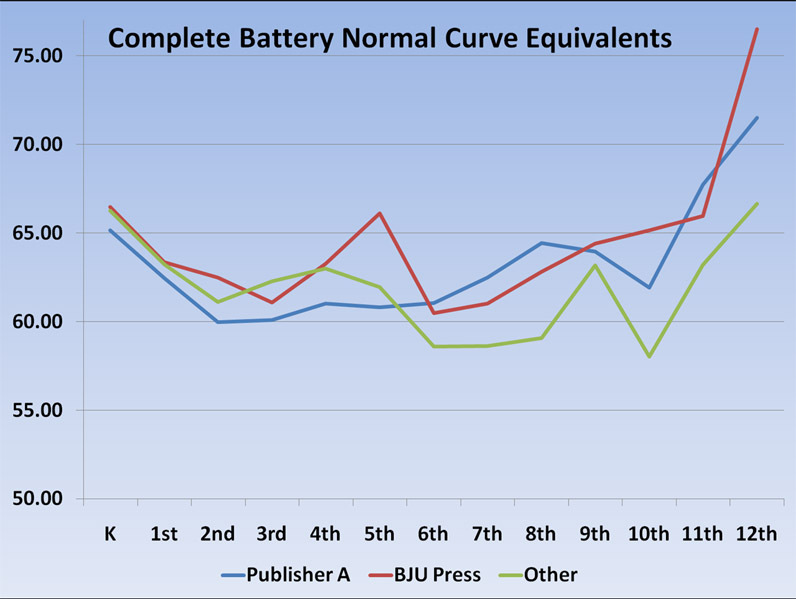 In all other grades, BJU Press users achieved scores comparatively at or above those in schools using different publishers. There may be multiple reasons for BJU Press’s advantage over time, but we believe the predominant reasons are the paced learning that students receive and the emphasis on critical thinking. If students are pushed too hard early in their schooling life, some may learn to dislike school or learning entirely. Others will simply develop patterns of absorbing information without processing it. This leads to poor critical thinking skills that are often discovered only in later grades. Some educational materials push students to memorize facts without critically processing those facts. Promoting memorization over critical thinking will tend to lower test scores in critical thinking over time. The more learning requires compounding knowledge from previous subjects, the more students will need to deeply comprehend the connections between subjects and know how to deal with unexpected information. This is where critical thinking comes in. Rote memorization programs without enough critical thinking tend to result in students who progressively fall behind in test scores.